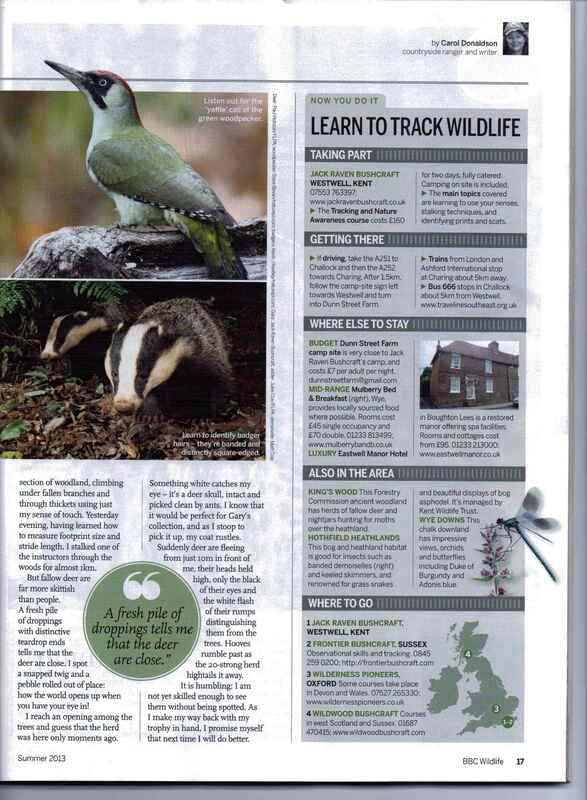 We’re delighted about this fantastic article in BBC Wildlife Magazine. Summer 2013, Volume 31 Number 8. 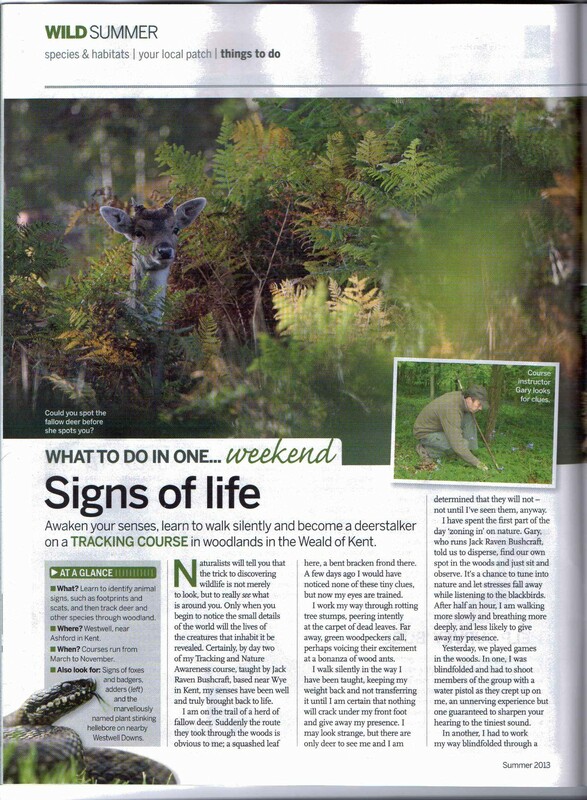 The article was written by Carol Donaldson after she attended our ‘Tracking & Nature Awareness’ course in April 2013. We all really enjoyed the course, a great group of people attended. 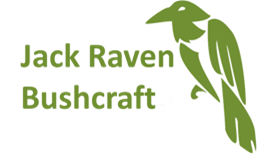 If you’d like to learn some of these skills yourself, well join us on our next course! This is one of those courses that can change the way you look at things. We hope that it is the first step in a long journey. After attending, every walk in the countryside will be the better for it. You’ll see what is around you and what you are sharing your surroundings with.